It's a fact: Greece is absolutely breathtaking. I'm not sure I've ever been to a place so beautiful, especially the Greek islands. 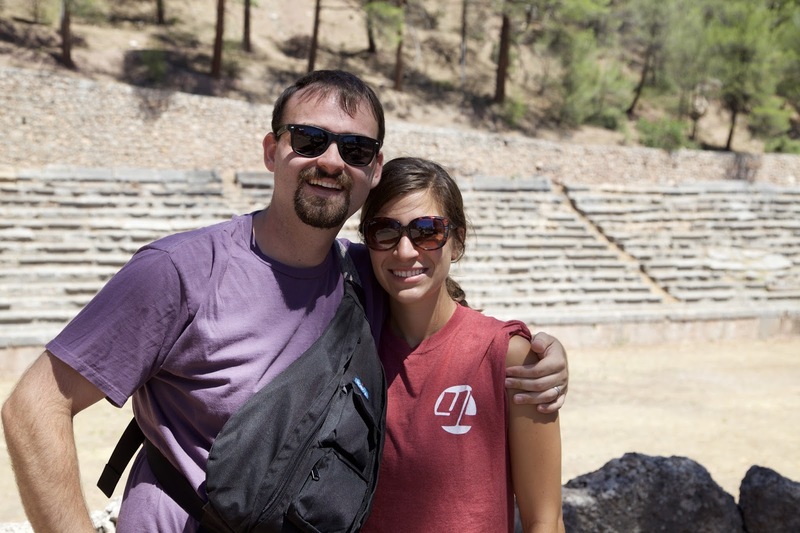 This summer, Aaron and I were blessed to spend 13 days traveling throughout Greece and its islands on an EF Tour. Our itinerary kept us busy, but we got to see almost everything the country had to offer. 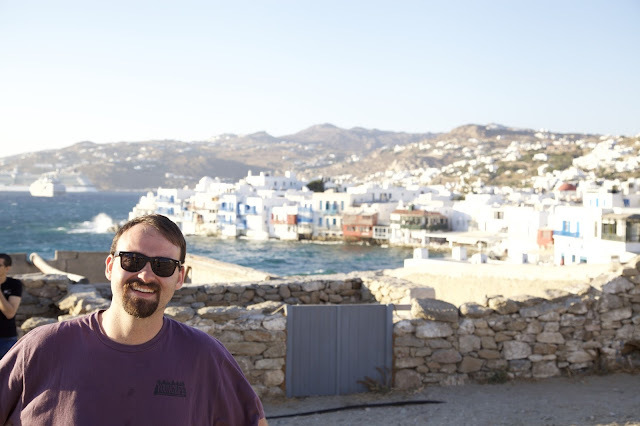 Even though Baby K was already on the way, and I spent a lot of time "tossing my gyros" into the nearest trash can, I'm so grateful for the opportunity to visit this amazing, historic country. Here are 10 stunning places you've got to visit in Greece! Santorini was one of my very favorite parts of the entire trip. 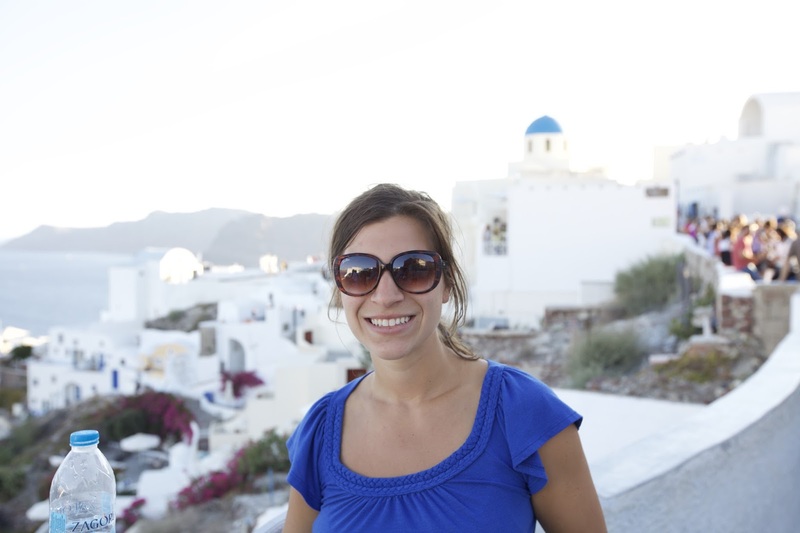 When you see photos of Greece, lots of them are from Oia Village, and it certainly didn't disappoint. With its blue-domed roofs and tiny whitewashed homes, this picturesque city is a must-visit on this rocky island. We enjoyed snapping photos of the amazing views, picking out some local wine to bring home, and finding some BOSS Ice Cream Bars for me to keep down. Mykonos surprised me. I didn't know much about it, but I can honestly say it was one of my absolute favorites. 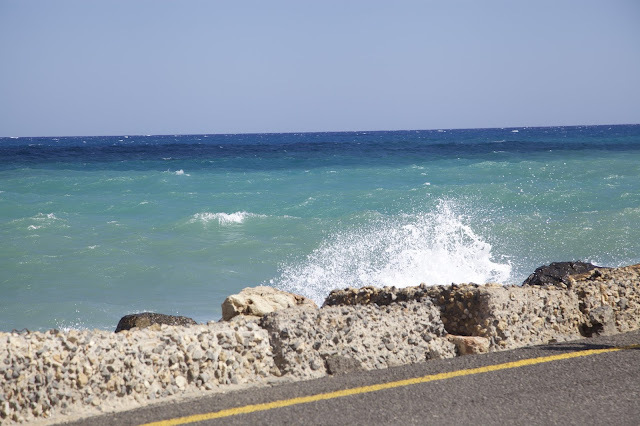 The island is a complete maze of whitewashed homes, gorgeous windmills, and breathtaking, windy seaside views. Aaron got me my traditional third anniversary leather gift here: handmade flip-flops! Known for its wide array of shopping, nightlife, and restaurants, Mykonos is touristy but can't be missed. If you're going to visit Greece, Athens is a no-brainer. You can't visit the country without a stop at the Parthenon, the Acropolis, or the Plaka District. 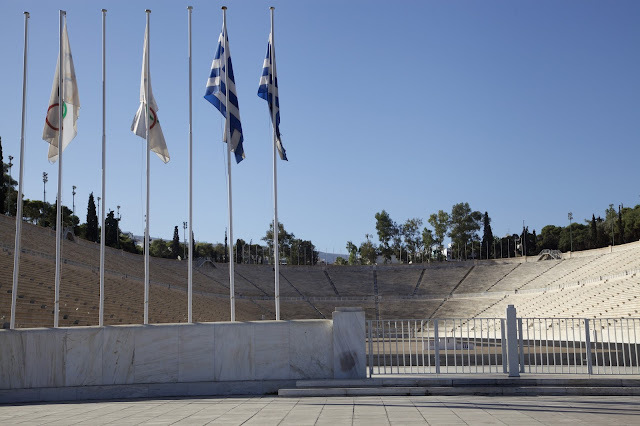 With historical ruins that are thousands of years old, Athens is a great starting point for a Greek adventure, as you can fly right in, explore the ruins, and then head out for a Greek Island cruise from the Piraeus port. I didn't know much about Rhodes, but it is absolutely breathtaking. 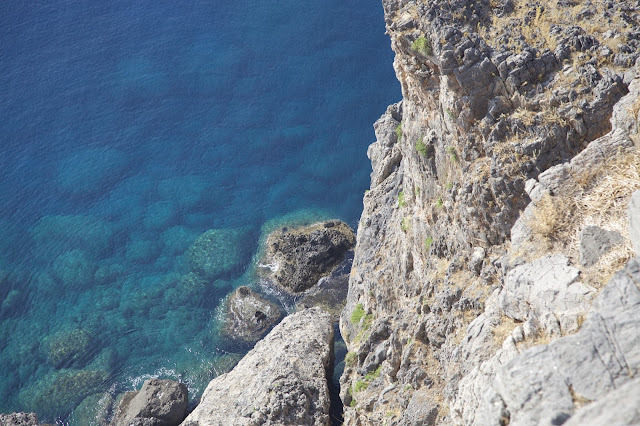 Be sure to visit Lindos, an ancient city that houses the Acropolis of Lindos, whose ruins cascade down its breathtaking cliffs. There are lots of shopping and dining options to enjoy on your way up and down the hundreds of stairs to the top. Seriously, check out those views! We didn't have a lot of time in Samos, but it's a place I would definitely go back to. It's the home of the Pythagorio village, and here you can find Pythagorean cups that punish greedy drinkers who try to take more than their portion by emptying the entire cup. Samos is also famous for its wine, so we visited the Wine Museum and brought home a few bottles to enjoy later. Also be sure to visit the archaeological site of Heraion, a large sanctuary to the goddess Hera. Patmos is also beautiful (see a pattern?) and is a must-visit for historical reasons. 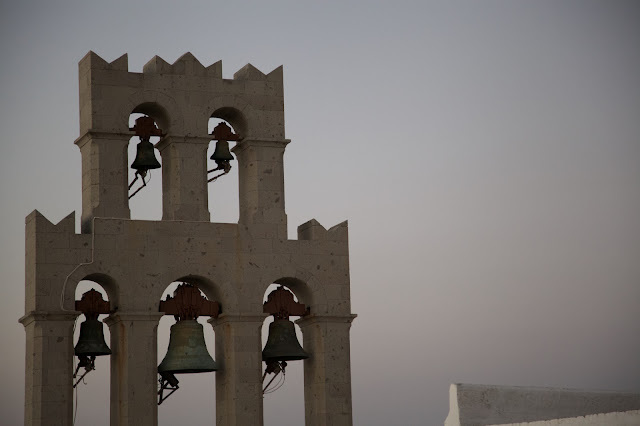 Home to the 900-year-old Monastery of St. John and the Grotto of the Apocalypse, Patmos houses a lot of Christian historical points of interest, including the place where John wrote the book of Revelation. Delphi is another can't-miss site on the Greek mainland. With well-known ruins and incredible historical significance, Delphi is known as the home of the oracle, and it provides stunning views of the Greek hillside and the Temple of Apollo. Our trip included an extension to visit the Peloponnese, a peninsula of Southern Greece. 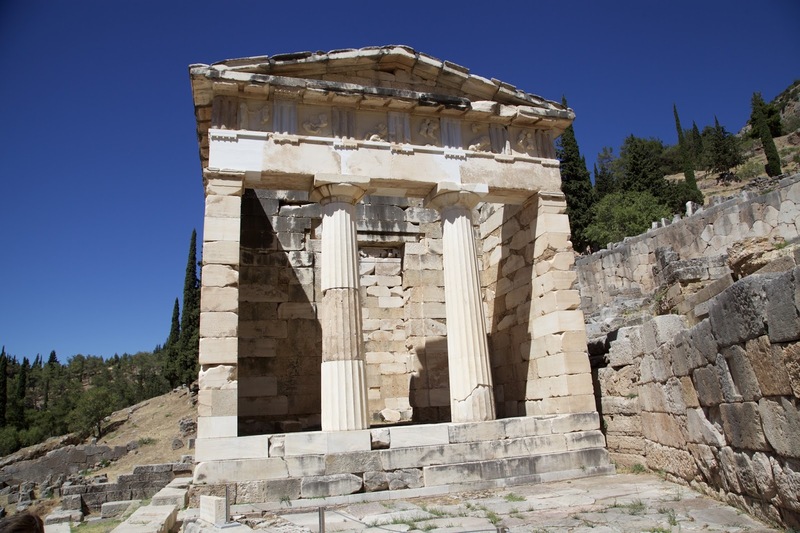 Here you can find the Temple of Hera, the Lion Gate of Mycenae, and Kalamata olives galore! We even visited an olive farm where we got to sample olives and buy homemade olive oil to take home and enjoy. Be sure to visit the echoing theater of Epidarus and maybe even take a pottery class while you're at it (mine was embarrassingly terrible!). 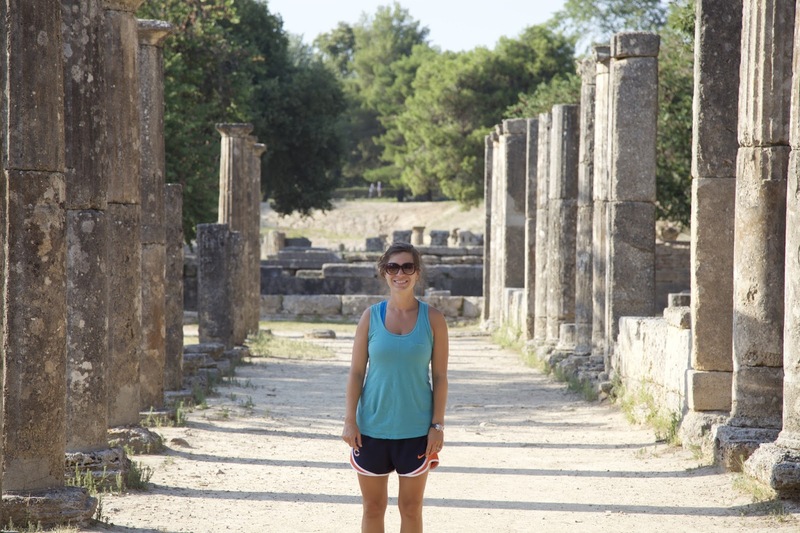 Within the Peloponnese area, Olympia is a must-see. Home to the original Ancient Olympics, Olympia is a rather surreal experience as you view the ancient stadium and maybe even go for a quick foot race. Many restaurants await your hunger in the heart of the city and are within walking distance of the ruins. Just a short drive from Athens, Cape Sounion is a popular beach-area escape and offers breathtaking views of the shockingly blue Aegean sea. 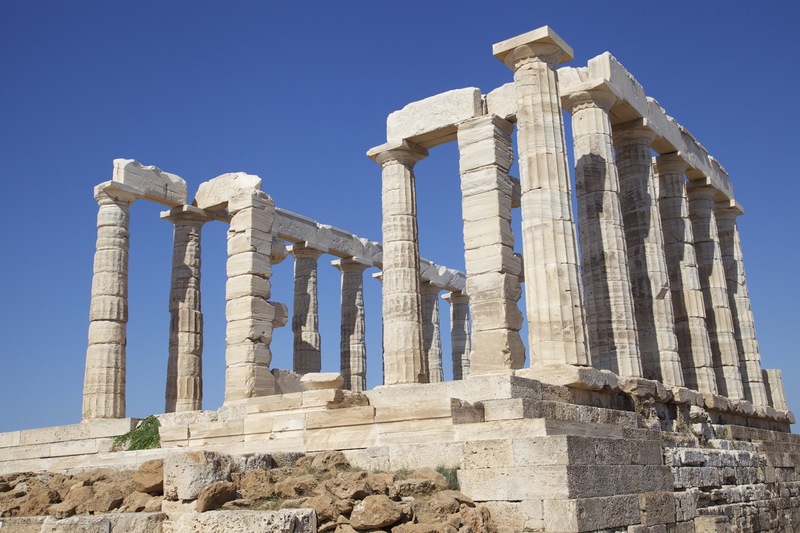 Be sure to visit the Temple of Poseidon here for some picture-perfect photographic opportunities. All in all, Greece was an incredible experience. It was pretty warm, but the islands were breezy and cool. Even though I was battling morning sickness, this stunning country surprised me with its incredible history, amazing views, and unique culture. We never felt unsafe, and we were welcomed by the Greeks with open arms. If you're ready to start planning your trip, be sure to look for amazing vacation deals and take advantage of hotel coupons. Add Greece to your bucket list, y'all. You won't regret it! Greece is very near the top of my travel bucket list. I've always wanted to visit Santorini, but now I've got several more places to add. Everything is beautiful! It was seriously the most beautiful place ever! I will be saving this for later because Greece is on my vacation dream board, thanks for sharing! Oh yay! It was definitely dreamy and worth visiting! What a beautiful post - your photos are stunning! I have always wanted to visit Greece. 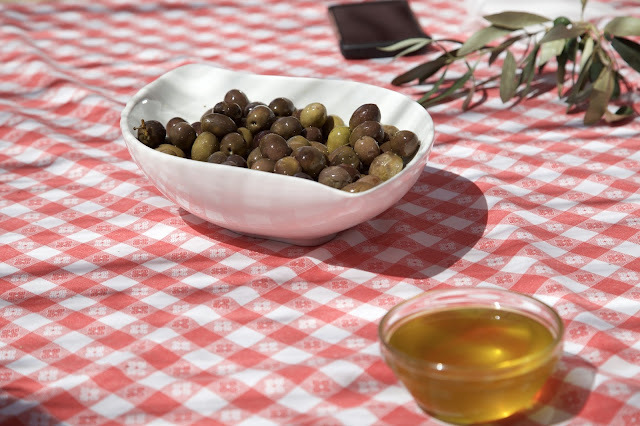 Your visit to an olive farm sounds like so much fun. I would also love to visit the Monastery of St. John and the Grotto of the Apocalypse. Thank you, Trish! All of the places you mentioned were awesome! Gorgeous! I have always wanted to go to Greece! You definitely have to go! It was amazing! Thank you, Abbey! I don't think it often gets enough credit. It's so stunning! Greece is on my bucket list of places to visit! I hope to go there one day. Santorini looks breathtaking! Yes, you've GOT to make a visit! It was beautiful!! The morning sickness wasn't too fun, but Greece was so stinkin' gorgeous and amazing that it kind of distracted me from it ha! I did a similar EF trip that combined Italy and Greece. My favorite spots were Delphi and Mykonos! Oh fun! I think Italy and Greece are my two most favorite places ever! I've been wanting to see Greece for quite some time now. Everyone I know that's been there has nothing but good things to say about it. I've never heard someone say they didn't like it haha so that's a win in my book. Hopefully we'll be able to take a trip there soon. I think it's definitely underrated and is a place that everyone should feel safe and confident about visiting. It's gorgeous! Greece looks amazing! I cant' wait to visit one day! It was so wonderful. Definitely go! 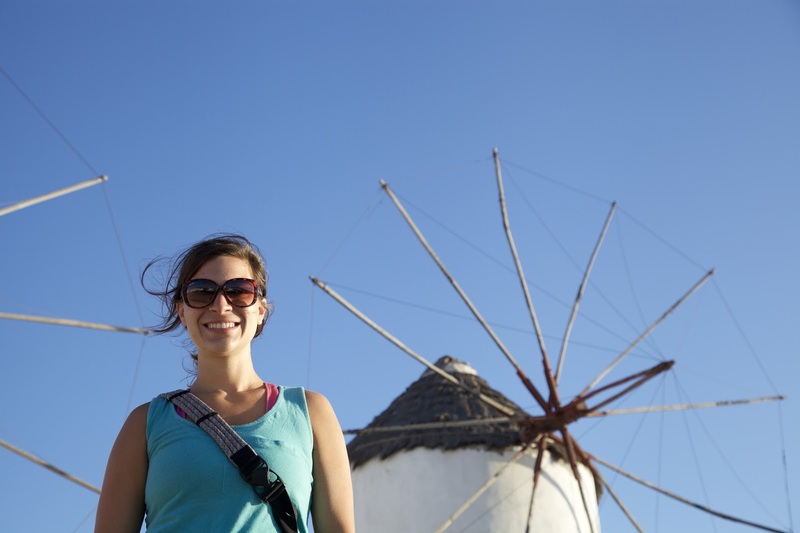 Ah this makes me wish I had much more time to explore Greece beyond just Mykonos and Athens! Santorini of course would be amazing but I hadn't heard much of these other destinations! Yes! All of the places we visited were amazing. I'm so glad we got the entire overview, and now I know where I want to go back for longer visits! We got back from Athens and Santorini a few weeks ago and your post makes me miss it so much! Weren't they just amazing? I miss it!! Wow! Greece is breathtaking! It looks like you enjoyed the trip of a lifetime. I need to put this on my bucket list. It was perfect! You should definitely go! Greece tops my bucket list and I can't wait to go! The water is so crystal clear and blue, and I love the historical aspect of it. 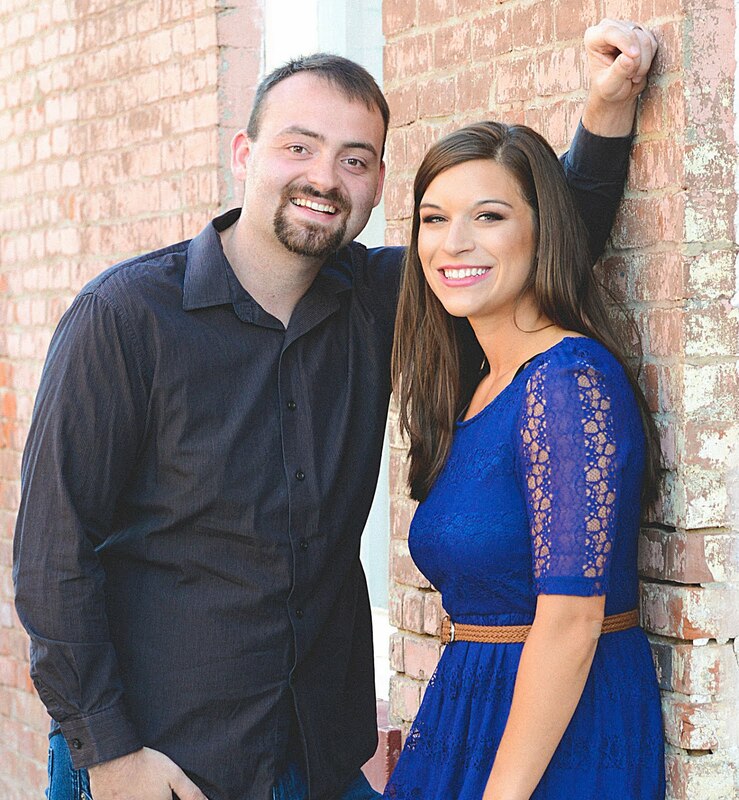 Looks like you two had a fantastic time! For all of the reasons you mention and more, it's amazing!! Oh yay!! We had an amazing time adventuring there! Looks stunning! I love the architecture. Did you do a cruise as part of your tour, or did that ship just happen to be in the background of one of the photos? It was perfect. YES! 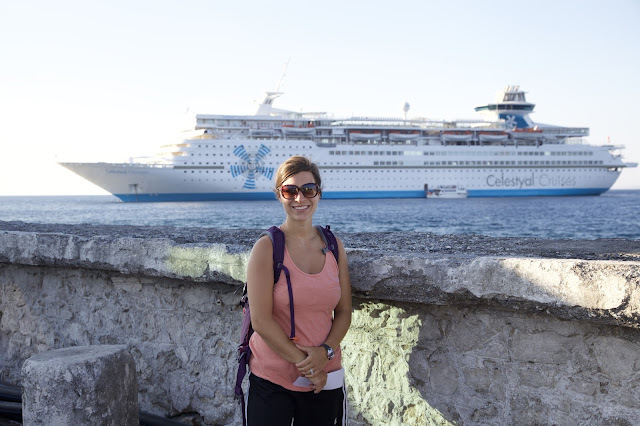 We did a tour on Celeystal cruises around the islands, and it was probably my favorite part of the trip- a must do! So beautiful! 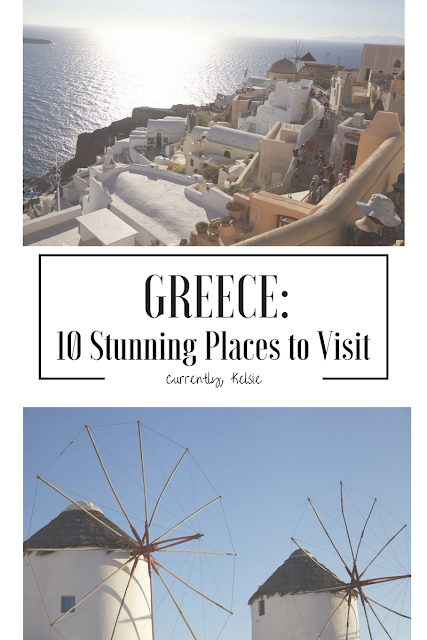 Greece is definitely on our list of must-visit places. 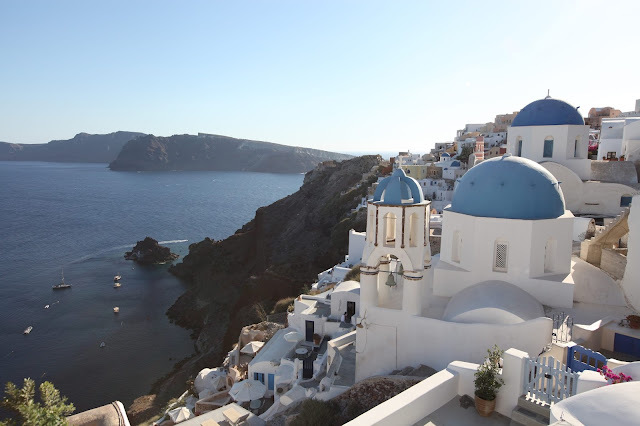 I've been dying to visit Santorini ever since I saw Sister of the Traveling Pants (that was where they were, right?). Beautiful pictures, Kelsie! YES! It was where they were haha. You should definitely visit!! Thanks for reading, friend! Greece is absolutely beautiful and is on top of my bucket places to visit! If I ever visit, I definitely want to go to Santorini. It was so stinkin' gorgeous- you should definitely visit! Greece is definitely a destination on my bucket list. I am pinning this so that when I start to plan my trip I can add these! Yay! I'm so glad it was helpful! Make a visit for sure. Such beautiful photos! Greece is VERY high on my travel bucket list especially Santorini and Mykonos. They look like two of the most beautiful places in the world. It was perfect, and I would agree that they've got to be on the list of top most beautiful places anywhere! Greece just jumped to the top of my bucket list. ALL The heart eyes!!! Everything looks so gorgeous!! I definitely want to visit now! You should definitely- it's even better in person! 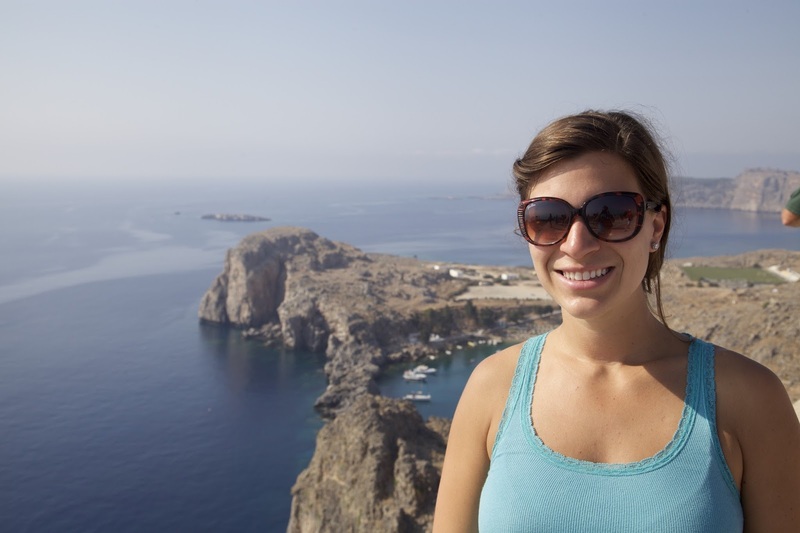 Greece is my dream destination— it's so beautiful! Your pictures are so beautiful and they are giving me serious wanderlust.. Thank you so much- you should visit for sure! Kelsie I live in Greece and do not do as much as you did in so few days. And you had morning sickness too. You are one tough girl. I literally melt in the summertime. I am so glad to hear that you had a great time. 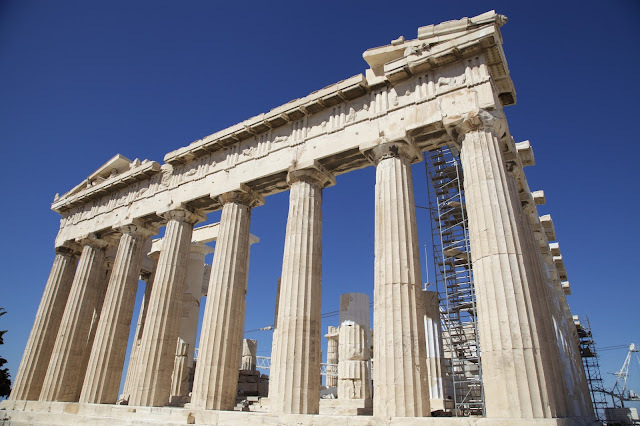 Greece needs all the tourism it can get and your glowing post really helped there. Sending you blessings for the baby and a healthy pregnancy. Haha, thanks so much for your well wishes. 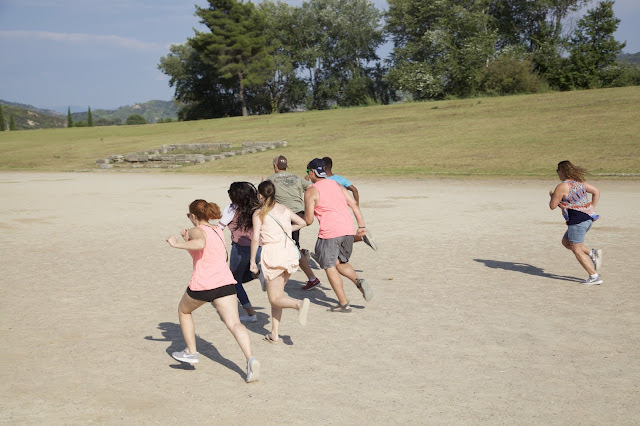 We really loved Greece! !